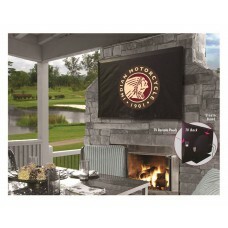 Protect your outdoor TV with an officially licensed Indian Motorcycle TV cover or just keep the dust off the one indoors. Show off your pride for the oldest American motorcycle manufacturer with a high grade TV cover made from Marine grade vinyl and printed with UV resistant inks. Made custom for any size tire or type of RV or motor home. Made in the USA!